It was a busy weekend, but a good weekend. 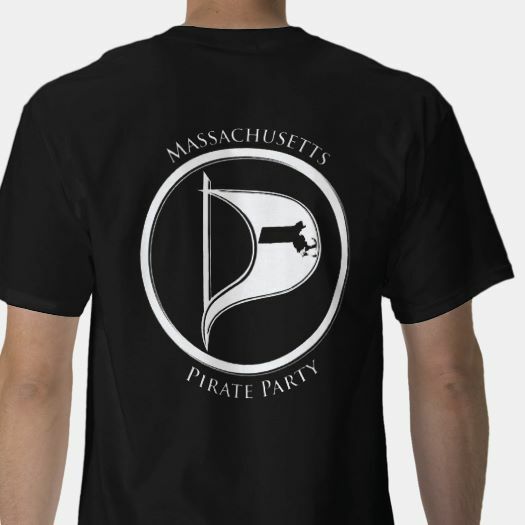 Members of the Massachusetts Pirate Party took part in three events: the March Against Monsanto, the 2nd Boston Security Meetup, and an interview with The Young Jurks on WEMF Radio. March Against Monsanto. 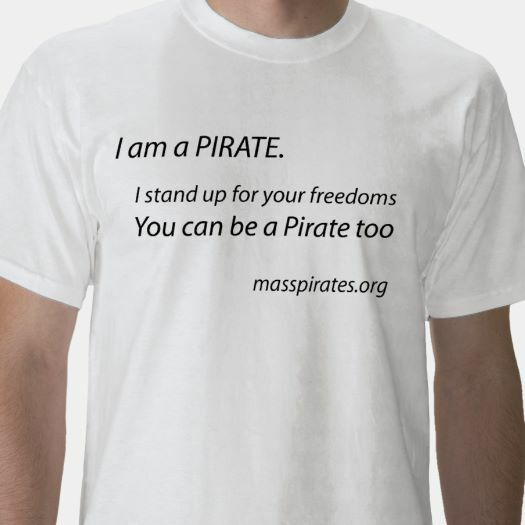 We marched to the State House and Copley Square with Pirate literature and a large Pirate sign. Many members of diverse political parties were in attendance including Socialist Alternative, Green-Rainbow, and We The People. Approximately 3,000 people participated, and the entire event clocked in at around five hours. We’ll continue to participate in events that rally against corporate excess, especially corporations like Monsanto who abuse IP law flagrantly. Boston Security Meetup. Captain James gave a talk called How Dare You Molest the Sea, to an audience of pirates, ninjas, and other security-minded folk. The Young Jurks. Noe and Joe ended the day with an interview on WEMF’s The Young Jurks. You can watch the interview at mikecann.net. Noelani & Joe are Ballot Bound! Our State Rep. candidates, Joseph Guertin and Noelani Kamelamela will be on the November ballot! Both candidates and their campaign supporters worked hard and gathered far more signatures than they needed to. On Thursday, May 22nd at noon, they will submit their signatures to the Massachusetts Election Division. We will be out to support them in front of the State House and we want you to join us. Fill out the form below if you plan to come to this event or one of the other events we will be at in May and June. The March Against Monsanto and the Boston LBGT Pride Parade are approaching rapidly. Thanks! published under Elections, Main Topic, Out And About | Comments Off on Noelani & Joe are Ballot Bound! Thanks to all who attended our 4th anniversary party and especially to those who made it happen. We were able to raise over $600. Joshua Chance Scafidi’s rapping and Mr. Precision’s tunes were fantastic. It wouldn’t have happened but for the work of our candidates Noelani Kamelamela and Joe Guertin, First officer Lucia, Quartermaster Steve and Arbitrator Kendra, as well as Marc, Kit, Fish, Leilani, Bobbi, Erica, Jean, Joan & Maurice. Big thanks to Garret and Frank for getting the word out. If I missed you, please know that your help was vital. If you weren’t able to attend, we missed you, but it isn’t too late to support our cause by contributing or volunteering. Feel free to post your suggestions for how we can make next year’s anniversary party even better in a comment below. Thanks! published under Fun and Games, Main Topic | Comments Off on Thanks! Our 4th anniversary party is tonight, Friday, May 9th. It will be at the Democracy Center, 45 Mt Auburn St., Harvard Square, Cambridge, MA 02138. Noelani Kamelamela and Joseph Guertin, two Pirate Party candidates for State Representative, will be there. Joshua Chance Scafidi will MC. Music will be by Mr. Precision. The party starts at 7pm with a social hour. From 8-9pm, we will discuss the Pirate Party’s next four years. Music and dancing will be from 9pm-11pm. As you would expect, there will be cake. This event is also a fundraiser. Preregistration is $20 ($10 for students). Door registration is $40 ($10 for students). You are welcome to give more if you can. Please tell your friends. There is also a Facebook Event you can share. We also have a flyer and poster you can download, print out and distribute. Support Innovation: Keep Net Neutrality! published under Main Topic, Net Neutrality | Comments Off on Support Innovation: Keep Net Neutrality! We are helping the Together Boston Music Festival and General Assembly put on a cryptoparty in South Boston. It will be from noon to 4pm, and will teach participants a number of communications security programs in a hands-on fashion. It is free, but they ask you to register on-line. It helps if you bring a laptop or other computer. Please share this event with others and take a look at the Together Boston Music Festival and General Assembly. Our 4th anniversary party is the evening of Friday, May 9th. It will be at the Democracy Center, 45 Mt Auburn St., Harvard Square, Cambridge, MA 02138. Noelani Kamelamela and Joseph Guertin, two Pirate Party candidates for State Representative, will be there. Joshua Chance Scafidi will MC. Music will be by Mr. Precision. The party starts at 7pm with a social hour. From 8-9pm, we will discuss the Pirate Party’s next four years. Music and dancing will be from 9pm-11pm. As you would expect, there will be cake. This event is also a fundraiser. Preregistration is $20 ($10 for students). Door registration is $40 ($10 for students). You are welcome to give more if you can. Please tell your friends. There is also a Facebook Event you can share. We also have a flyer and poster you can download, print out and distribute. International Day Against DRM is this Tuesday, May 6th. We have endorsed this day of action and urge you to support it as well. So called Digital Rights Management or DRM technologies have crept out of music (where they are being abandoned) into movies and e-books. They are even in cars and coffee makers. If we don’t stand up, DRM will be in the next version of HTML, potentially lock down the Internet. As writer Cory Doctorow noted with DRM in e-books: Anytime someone puts a lock on something you own, against your wishes, and doesn’t give you the key, they’re not doing it for your benefit. 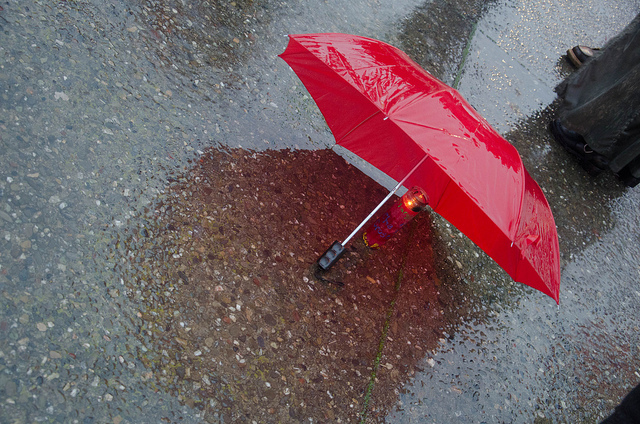 The Free Software Foundation has suggestions for what you can do on and leading up to the 6th. Locally, the LibrePlanet Boston Desktop GNU/Linux Users Group is holding a protest outside the Best Buy at 401 Park Dr. in Boston. It starts at 6:45pm. Hope you can make it.